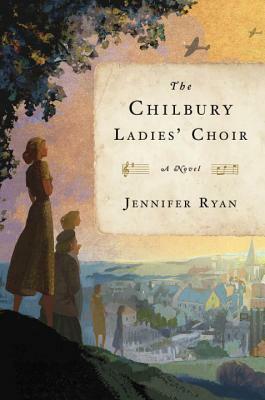 Goodreads: "Just because the men have gone to war, why do we have to close the choir? And precisely when we need it most!" Kritters Thoughts: A book told through letters, journal entries and so on was such a new inventive way to approach the subject of World War II and set in a small town that is on the outskirts, but close enough to have fear of the impending doom. I would say it was hard to keep all the ladies straight from the Chilbury Ladies' Choir and make sure I could remember who was who and what was what. It may have been harder given the style of the book, but in the same moment I loved how it was written. I read this one slower because I took a minute at the beginning of each chapter to remember who was talking and where they were coming from. I loved that the characters varied in age and station in life so you saw the full view of the village. I have read numerous books on World War II, too many to count at this point, so to have a fresh take is actually kind of hard! I am not a big cryer with books, but this one definitely had my heart strings pulled because I just was so invested in the characters and how they were going to survive. Again another great debut and excited to see what Jennifer Ryan has up next. I don't normally cry in books either, but sometimes a story or a character really touches me.